The Power option is the power calculation feature of OXYGEN data acquisition software. 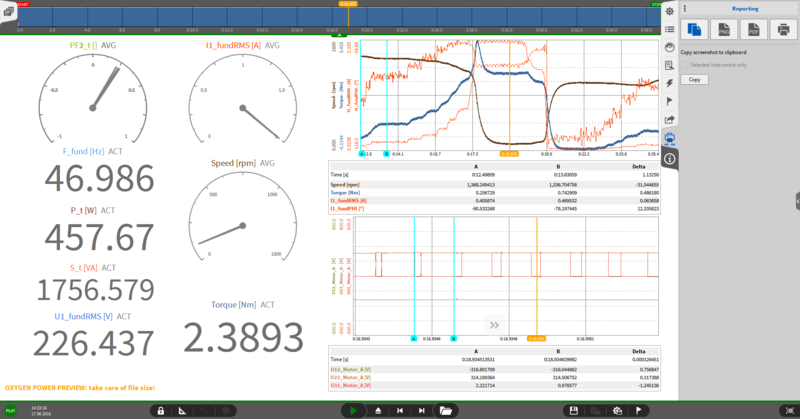 OXYGEN with Power Calculation Feature seamlessly integrates data being transmitted through multiple, totally synchronized signals into calculations for power analysis. A DEWETRON system with OXYGEN and the Power option can do much more than any other power analyzer. One DEWETRON system is capable of both Multi Power Analysis and Mixed Signal Analysis. OXYGEN with Power option turns a DEWETRON system into a MIXED SIGNAL POWER ANALYZER capable of analyzing system behavior, static and dynamic efficiency and losses on electric drives, engines, power converters and power electronics. All signals are recorded synchronously! 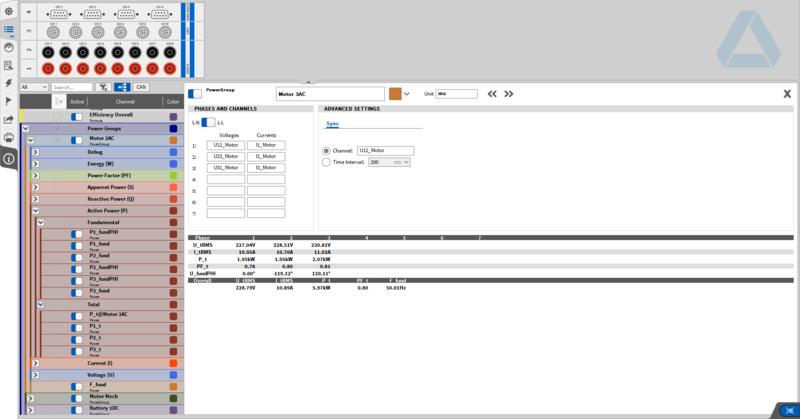 OXYGEN with Power Calculation feature turns your DEWETRON system into a Multi Power Analyzer! Power instruments can be easily arranged by drag & drop using state-of-the-art touch technology. All important values for your analysis are clearly displayed and in the right form. 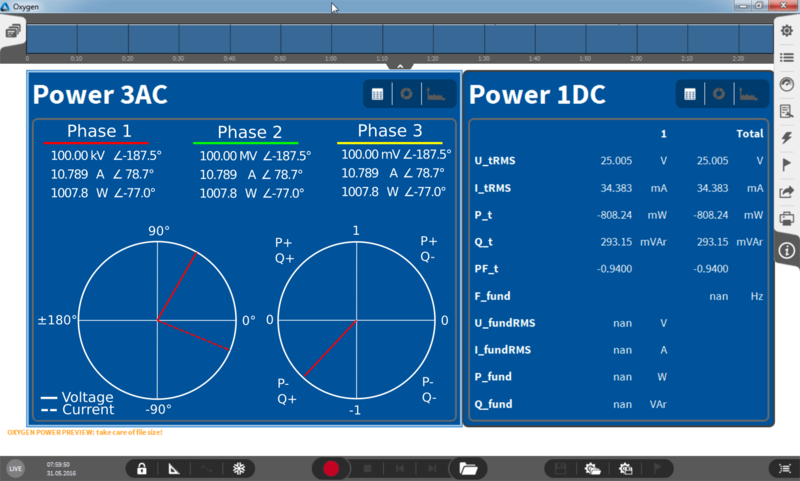 It is pretty simple to visualize power parameters in table views, vector scopes and harmonic charts by touching the tab. OXYGEN with Power Calculation feature is the ideal software solution for testing electrical motors and drives. The Power option allows analyzing the electrical parameters (active power, reactive power, efficiency) and mechanical (rotations speed, torque) behaviour during start-up procedures and dynamic tests simultaneously. The innovative operating concept with drag & drop functionality supports you to configure channels and several power groups in an easy and fast way. OXYGEN with Power option helps you to concentrate on the essential. Harmonic analysis at its best! 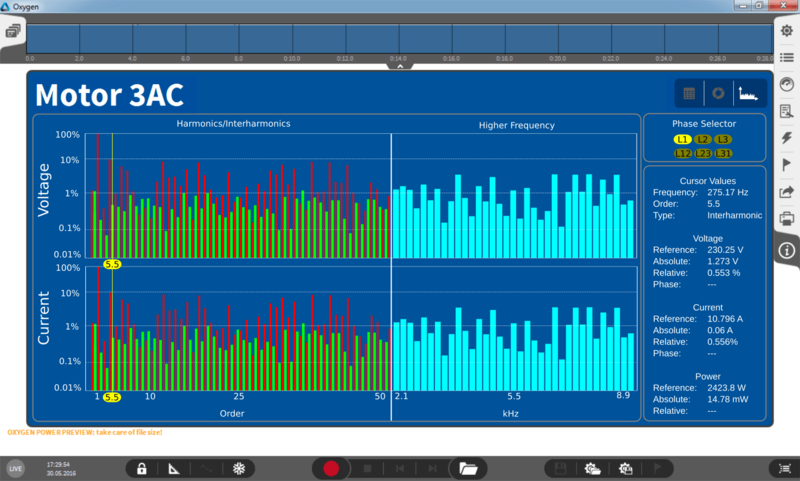 We include all relevant harmonic/interharmonic and higher frequency parts in one chart. OXYGEN with Power option makes it easy to keep the focus on that your interested in. The simultaneous display of voltage and current makes it easy to analyse the behaviour of electrical motors, drives and other electrical components.